This was a card for one of my ladies. 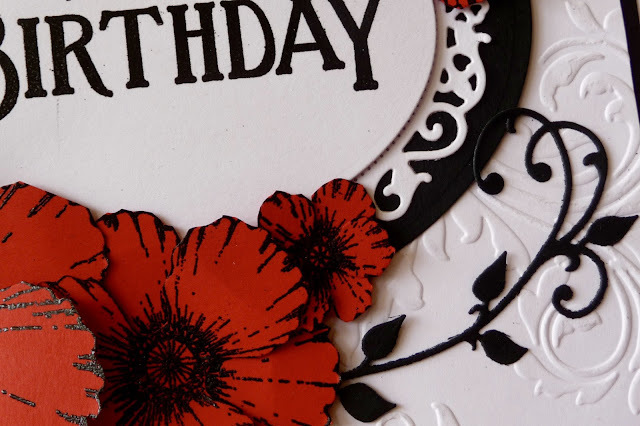 Joan has been attending our card-making club almost since the very start, January 2004, and has followed me about with the various venue changes. She is always willing to help put the equipment out and pack away and she adores poppies. 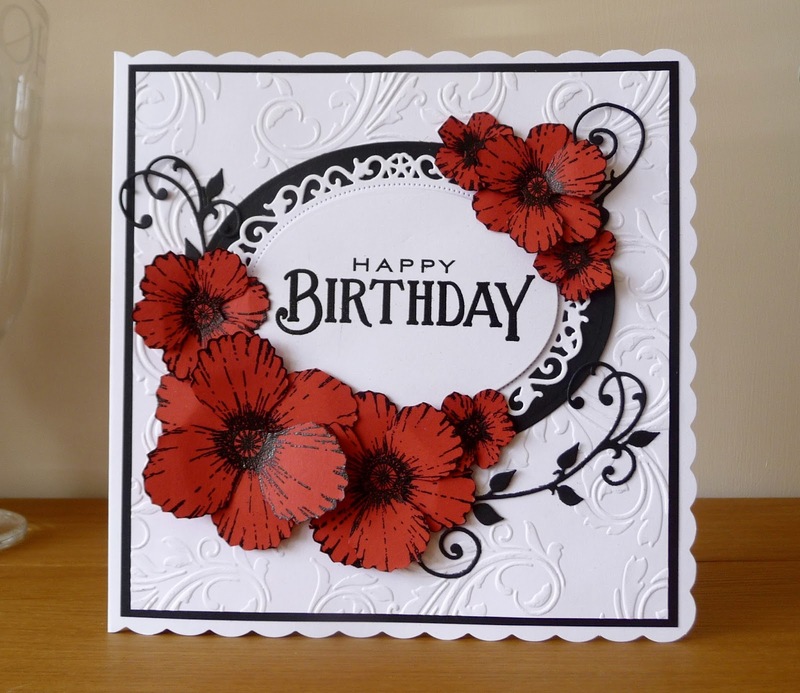 Here I used a Papertrey Ink sentiment embossed with shiny black powder and Heartfelt Creations flower stamps. The decorative oval die is by Spellbinders, not sure of the make of the scroll die; it's not one I use very much because it's so fiddly. Finished card is 8 x 8 inches.